If you suffer from fatigue, muscle weakness, achy joints and muscles, bleeding gums or leg rashes - you could be vitamin C deficient. Everything from the common cold to cancer can't resist the healing power of vitamin C. In fact, there is not a known virus that can survive in the presence of this essential antioxidant. If you would like to learn more about the health benefits of vitamin C; the best way to consume vitamin C supplements for disease prevention plus much more - don't miss the next NaturalNews Talk Hour with Jonathan Landsman and Dr. Thomas Levy. 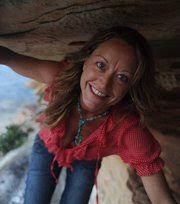 Visit: http://www.naturalhealth365.com and enter your email address for show details + a FREE gift! 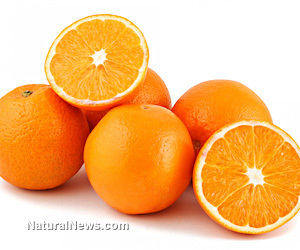 How does vitamin C help to kill unwanted viruses and prevent disease? Vitamin C expert, Dr. Thomas Levy says, "vitamin C is referred to as an antioxidant that donates or gives up its electrons. On the other hand, a toxin, infection or anything that causes a medical symptom in the body is a result of oxidative stress or due to a lack of electrons." So, it's really quite simple, if our body lacks enough electrons - we will get sick. This is the easiest way to understand why a healthy diet - rich in fruits and vegetables (loaded with vitamin C) - does help us to literally prevent disease. Eating enough vitamin C, antioxidant-rich foods make it virtually impossible for our body to experience cellular inflammation. And, remember, inflammation is an essential component to just about every chronic, degenerative disease - including cancer. According to the work of Linus Pauling and the Linus Pauling Institute, vitamin C therapy has been shown to prevent, even reverse serious health condition, like cancer. Generally speaking, the Linus Pauling Institute recommends that healthy men and women eat "at least five servings (2? cups) of fruits and vegetables daily" - which provides about 200 mg of vitamin C. Obviously, if you suffer from any chronic disease, greater amounts may be required and not just orally. Research has shown that as little as 10 mg of vitamin C per day can eliminate the threat of scurvy. Naturally, diseases like cancer and heart disease require much larger quantities. But, the main point is that health problems like, cancer, coronary heart disease, diabetes, gout, high blood pressure and stroke can all be treated with vitamin C therapy. Dr. Thomas E. Levy is a board certified cardiologist and has written six books on health-related issues. Most of his work has centered on how to restore and maintain good health in the face of the many different forms of toxicity that all of us face, typically on a daily basis. He no longer has a clinical practice of medicine and cardiology. Rather, he limits himself to research and writing at this time, and he is currently working on his seventh book, Death by Calcium: The Supplement that Kills. Most of his work over the last ten years has centered on the importance of maintaining a healthy antioxidant status in the body. His work currently is focusing on the importance of liposomal technology as a way to optimally deliver vitamin C, glutathione, and other nutrients into the body orally, appearing to even surpass the bioavailability seen with the intravenous administration of these antioxidants.